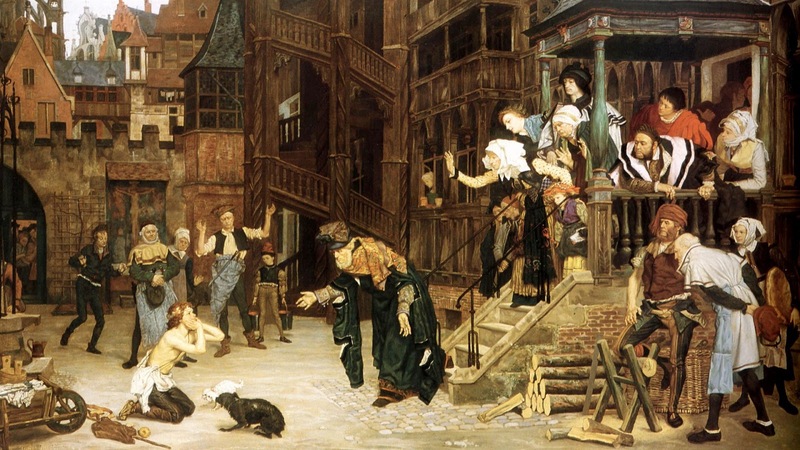 In 1880, French painter** and illustrator Jacques Joseph Tissot (15 October 1836 - 8 August 1902) began an important series portraying the subject of the Prodigal Son, now in the Musée des Beaux-Arts, Nantes. 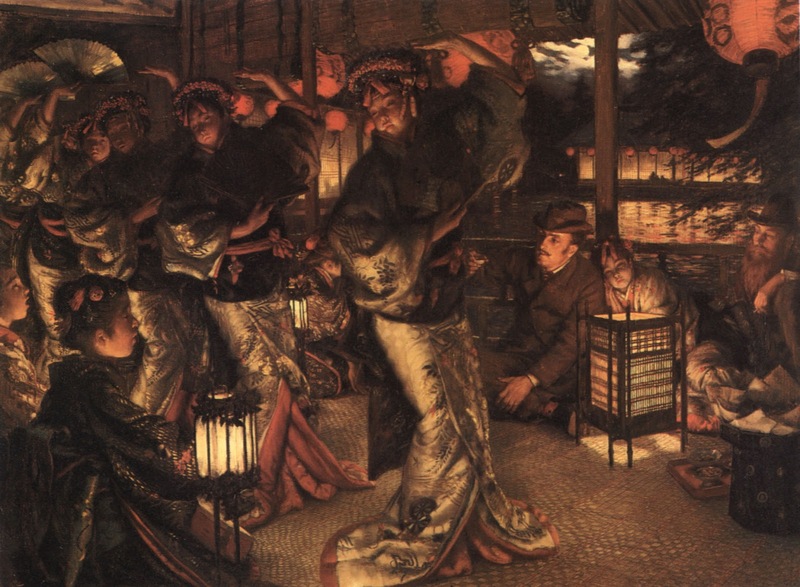 The series formed a centre-piece of Tissot's one man exhibition at the Dudley Gallery in London in 1882 and later shown at the Palais de L'Industrie in Paris, in 1883. 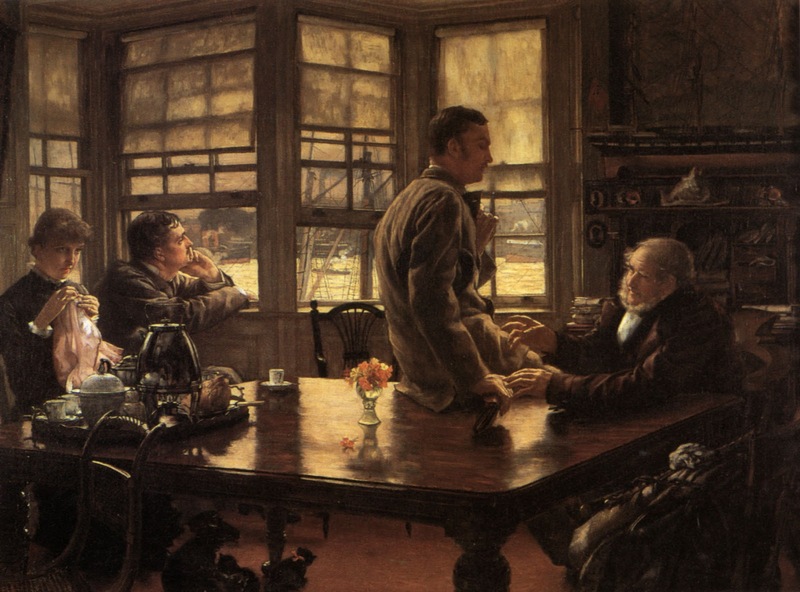 The present lot includes two oil studies for the first and third painting in the finished series. 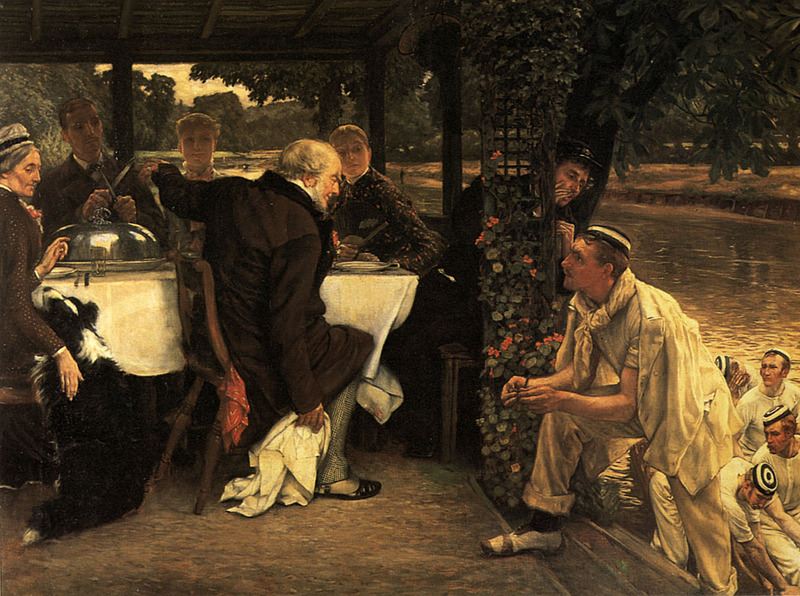 For the 1881 series Tissot chose to depict a modern-life subject rather than a formal historical setting, which he had explored earlier in 1863. 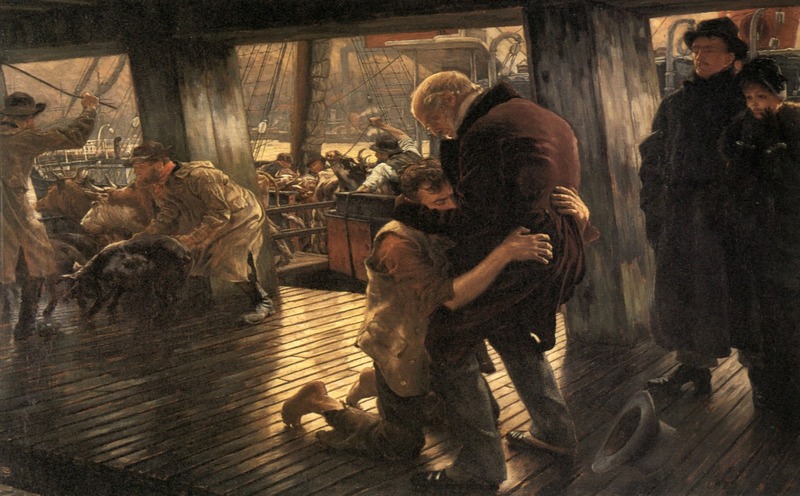 The present lot depicts the return and departure with deeper emotion, in particular The Return (the study most similar to the final version) the viewer is drawn to the father and son embracing passionately in the centre of the composition.